Mankind Should Be Our Business! Scrooge was right! I think Tesla would agree! Nikola Tesla was an immigrant who brought to America inventions which changed the world. People like Thomas Edison resented Tesla’s ideas; Marconi capitalized on his inventions; Westinghouse created his electric company with Tesla’s patents; JP Morgan first supported and then later abandoned Tesla. 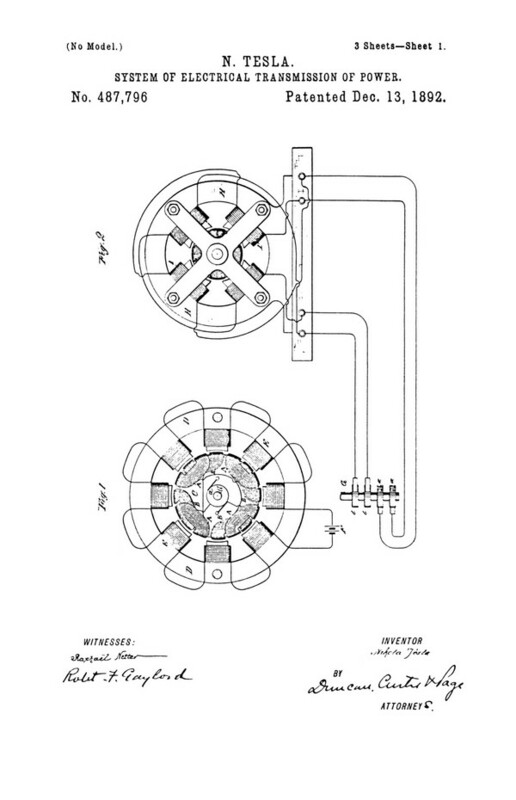 On this day, December 13, 1892, Patent #487,796, describing a SYSTEM OF ELECTRICAL TRANSMISSION OF POWER, is issued to Tesla. Tesla was an inventive genius. One time he captured the power of Niagara Falls with his automated current system making it possible to provide electricity to the world. 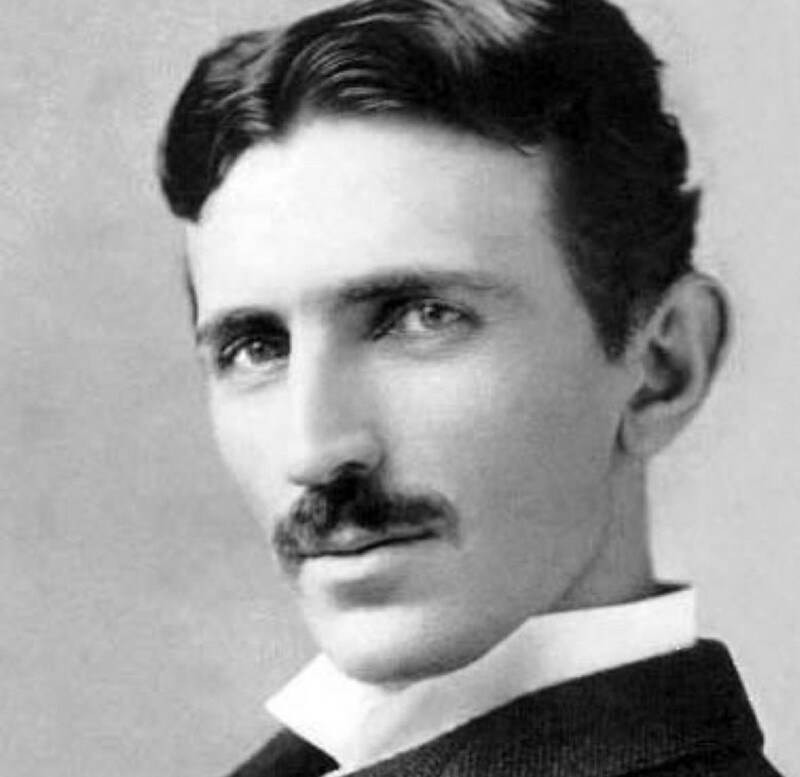 Tesla also patented the technology for wireless communications which made radio and TV broadcasting possible. Some, unfortunately, who were more interested in the money aspect, seemed to have taken advantage of Tesla’s philanthropic spirit. One of Tesla’s shining moments was at Chicago’s Great Fair in 1893, a celebration of the year Columbus discovered the Americas (a year late, I might add). The fair was to be the first lighted by electricity, and Tesla, who was with Westinghouse at the time, won the contract to light the event (Edison, having lost the bid, engaged in some unsportsmanlike like conduct after this loss, but that’s a part of the story for another time – the show went on successfully in spite of Edison). In May of 1893, 100,000 people converged on the fairgrounds to witness mankind’s latest inventions. The night began to fall as the people anxiously awaited the lighting spectacular. Then President Cleveland, at the appointed time, pressed a button, and to the thrill of the spectators tube lighting and search lights magically lit up the fair and the night sky. This was the greatest display of lighting the world had ever seen! Tesla made history in Chicago. His generators provided the electricity for the fair thus proving, to the chagrin of his detractors, that AC could provide power on a large scale. 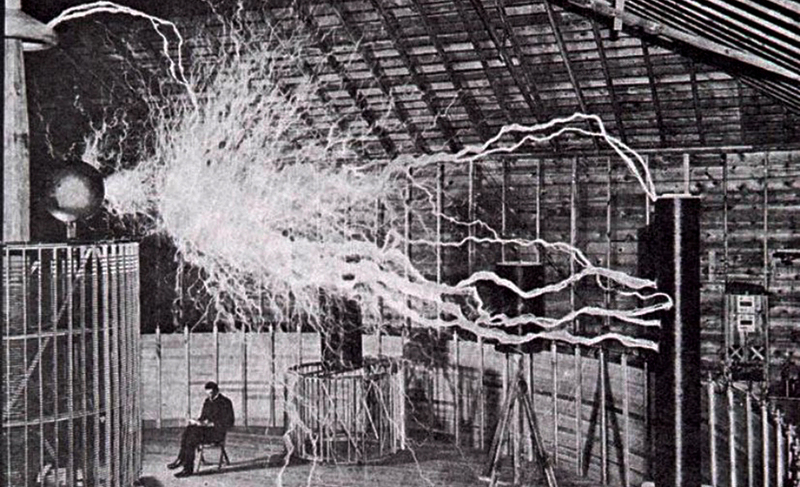 Get to know Tesla. Look up Tesla’s Egg of Columbus. This entry was posted in Uncategorized and tagged AC Current, Love Mankind, Nikola Tesla, Tesla. Bookmark the permalink.